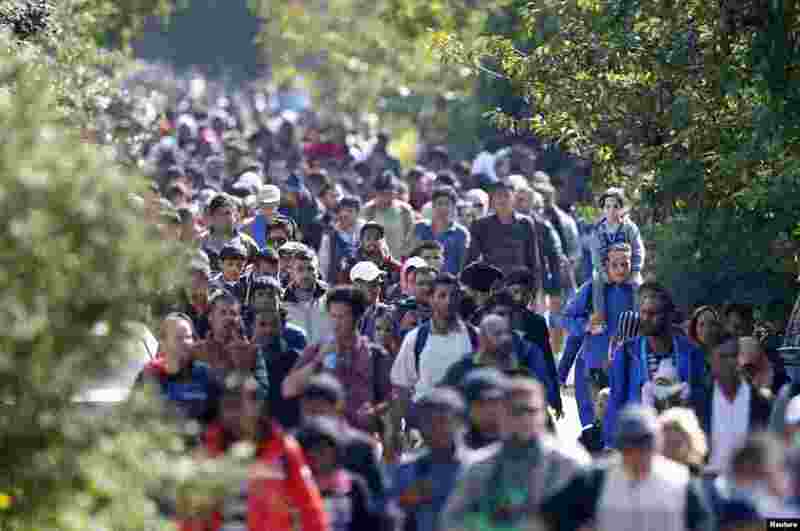 1 Migrants walk towards the Austrian border from Hegyeshalom, Hungary, Sept. 23, 2015. European Union leaders could promise billions of euros in new funding for Syrian refugees at an emergency summit where they will also try to patch up bitter divisions over the migration crisis. 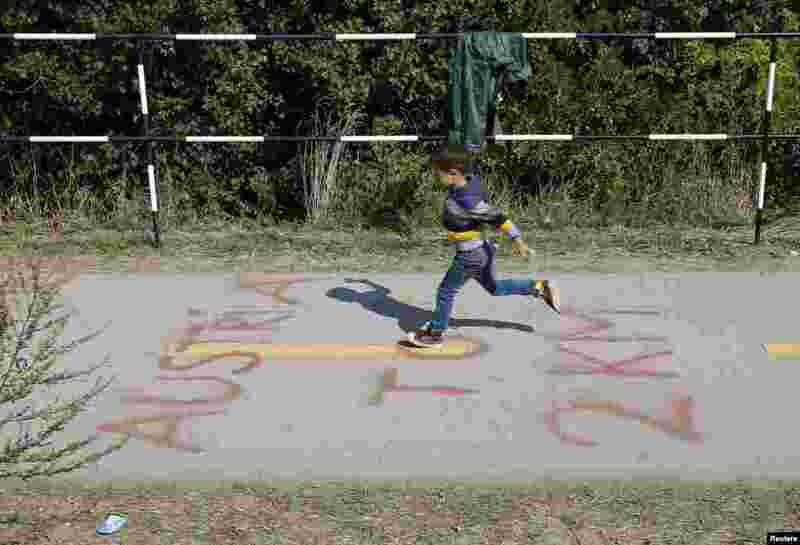 2 A boy jumps over a sign marking the distance to the Austrian border as migrants leave Hegyeshalom, Hungary. 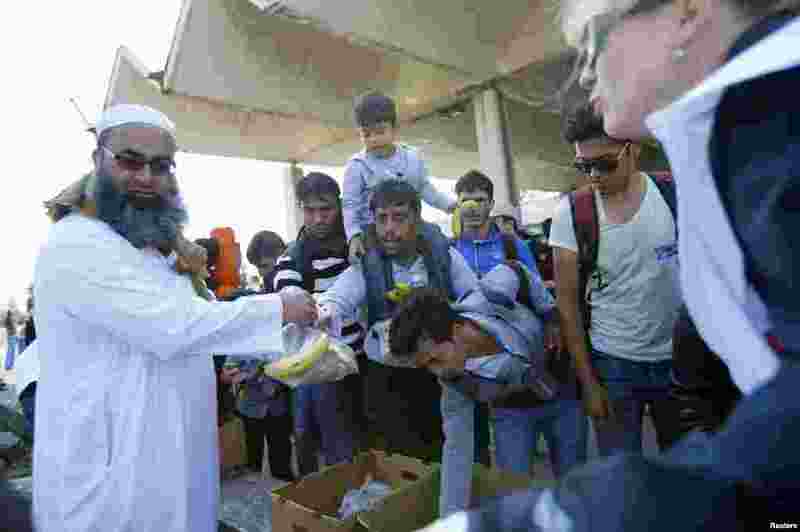 3 Migrants receive food as they arrive at a train station in Hegyeshalom, Hungary. 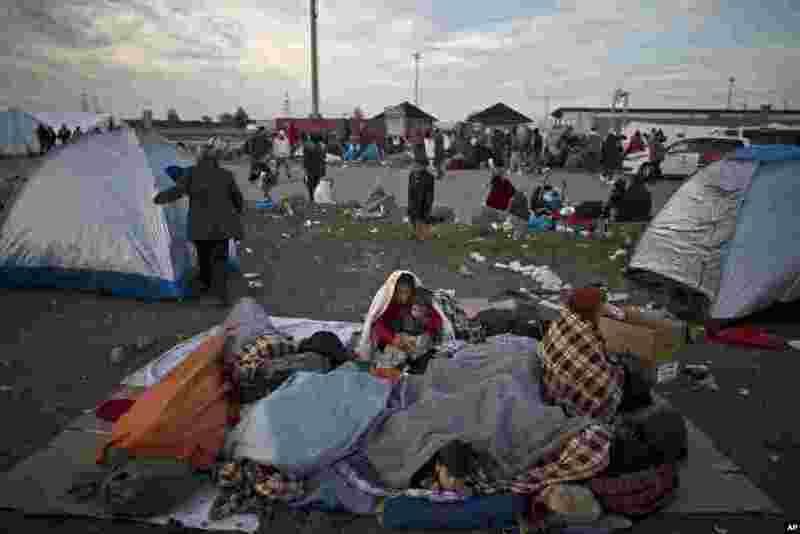 Prime Minister Viktor Orban said he would propose to European Union leaders that the bloc's members boost payments to the EU budget by 1 percent and cut EU spending by 1 percent to help cope with the refugee crisis..
4 Afghan refugees are wrapped themselves with blankets to shelter from the morning cold after spending the night at a collection point in the truck parking lot of the former border station on the Austrian side of the Hungarian-Austrian border near Nickelsdo. European Union ministers agreed to relocate 120,000 migrants in a move intended to ease the strain on Greece and Italy which are on the frontline of the continent’s overwhelming migrant crisis.